The current president of Costa Rica is Carlos Alvarado Quesada. He is a member of the center-left Citizen’s Action Party and won the presidential election with the support of 61% of the voters. Carlos Alvarado competed against the evangelical candidate Fabricio Alvarado in an April 1 election run-off. Alvarado was sworn in on 8 May 2018 and replaced Luis Guillermo Solís. Thus, the former Minister of Labour and Social Security became the 48th president of Costa Rica. Alvarado’s term will end four years later in 2022. Epsy Campbell, his vice president candidate, is the country’s first Afro-Costa Rican to serve in that role. Marvin Rodríguez Cordero is the second vice president of Costa Rica and was chosen by Alvarado because of his knowledge and experience in education and community sectors. Carlos Alvarado was born in 1980 in San José (making him 38 years old – the head of state in Latin America) and grew up with his brother and sister in Pavas. The president is married and has a son with his wife. He has a Bachelor’s degree in communication a Master’s degree in political science from the University of Costa Rica. Moreover, Alvarado studied at the Sussex University in England and has earned a Master’s degree in development studies. Alvarado built his presidential campaign around the defense of Human Rights and the call for unity in Costa Rica, as well as promising to support gay marriage. He has taken on the commitment to improve Costa Rica’s infrastructure, mitigate poverty and boost employment. One of the big challenges of his presidency will be to face climbing crime, rising migration, a growing deficit and to unify the seven parties in the Legislative Assembly. Costa Rica President’s govern for four years, and until 2005 they were prohibited from running for office again. Today they may seek re-election but must wait at least eight years before doing so. Presidential candidates must fulfill three conditions in order to be eligible. 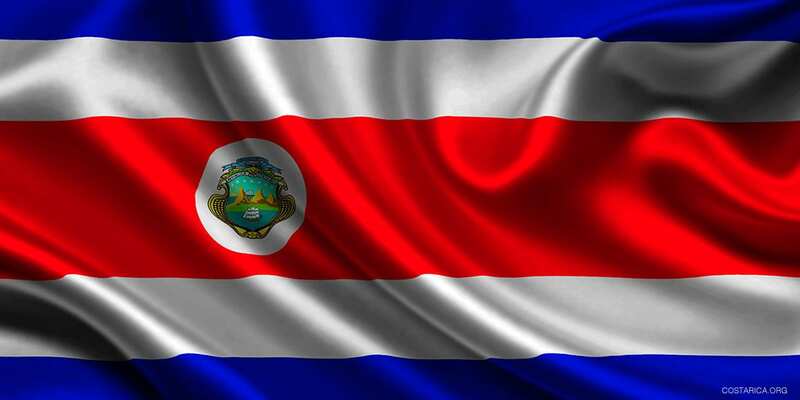 They must be Costa Rican by birth, they must be over thirty years of age. Also, they must not hold a religious office. Presidents are chosen by direct election by the Costa Rican people and unusually, they are assisted in their duties by two Vice-presidents. So far there have been 47 presidents, of which six former leaders are currently alive. According to the country’s constitution, Costa Rica Leaders exist to represent the nation in official acts, to exercise supreme control of public force, and to appoint and remove ministers (among other things). Their duties include: sanctioning and regulating laws, collect the national income (in the form of taxes), receive foreign heads of state, and to direct the international relations of the Republic. The last Costa Rica President was Luis Guillermo Solis. Solis was born in 1958 (making him 59), to parents of humble means. He was born and raised in the capital, San Jose, although his parents were from Turrialba originally. Several decades before his birth, his family had come over to Costa Rica from Jamaica, and Solis has Afro-Caribbean and Chinese ancestry. He studied history at the University of Costa Rica, before moving on to Tulane University in New Orleans to obtain a masters degree in Latin American Studies. This was the beginning of a long academic career, which included a stint as a Fullbright scholar at the University of Michigan. Solis was born in 1958 (making him 59), to parents of humble means. He was born and raised in the capital, San Jose, although his parents were from Turrialba originally. Several decades before his birth, his family had come over to Costa Rica from Jamaica, and Solis has Afro-Caribbean and Chinese ancestry. He studied history at the University of Costa Rica, before moving on to Tulane University in New Orleans to obtain a masters degree in Latin American Studies. This was the beginning of a long academic career, which included a stint as a Fullbright scholar at the University of Michigan. It was while working at the University of Costa Rica that Solis first got involved in politics, joining the Socialist National Liberation Party. Over time he rose through the ranks, and eventually ended up as the party’s general secretary. He remained in this position for less than a year, however, as he resigned in 2003 as a protest against bribery allegations that some members of the party were facing. By 2005 he had renounced all connections to the party and made several public statements condemning them for corruption. After returning to his academic work for a few years, Solis announced his affiliation with the relatively new Citizen’s Action Party in 2009. Thanks to his reputation and political experience, he was quickly put forward as a possible presidential candidate and ran for office in the 2014 election. Solis was the most successful candidate in the first round and secured 30.95% of the vote. This was not enough to win outright, however, and a second run-off vote was held which he won with the largest margin ever recorded in a Costa Rican election. Solis is noted for his left-wing policies and his belief that inequality is one of the largest problems which Costa Rica faces. He has made efforts to collect taxes from large companies, claiming that it had previously been too easy for them to avoid paying their fair share. He also supports relaxed union laws as he sees the organizations as an important way for ordinary people to improve their situation. Fighting corruption’s one of his party’s main aims, and Solis himself has taken this extremely seriously. He has argued that this is one of the biggest impediments to progress in Costa Rica. Socially, Solis is a progressive politician who believes that steps should be taken to move the nation into the 21st century. He has been outspoken in his support for gay, lesbian, and transgender people – even going as far as to once fly the rainbow flag over the presidential palace. He is also a supporter of Costa Rica’s ethnic minorities and ensuring that their status in society is equal to that of the rest of the population. Despite being a committed Catholic Christian, Solis argues for the separation of church and state. He does not let his personal beliefs get in the way of policy. Solis supports IVF for example, something which the church has spoken out against and believes that protecting the environment and fighting climate change is an important priority. To help achieve this he has put strict water management laws in place.